Time: Various times - see ticketing site for details. 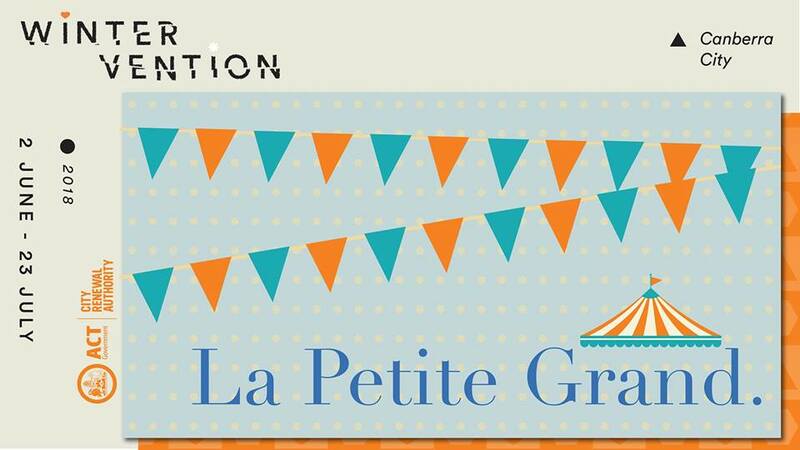 The La Petite Grand theatre tent will host three different shows during its visit to Canberra. Circus Winter Wonderland - daily performances between 7 and 22 July. This 45-minute family circus extravanganza is packed with amazing acrobatics, stacks of silliness. It is perfect for children aged three and over and also the young at heart. This high energy circus show has been performed to massive crowds all over the country. Fun for the whole family, the show is packed with circus stunts and laughs for children and adults alike. Gone are the days of simple bubble blowing. With this unique show you will be able to see bubbles inside bubbles, smoke bubbles, square bubbles and even the new amazing explode-a-bubble. There is interactive fun to be had with the Human Bubble, where one lucky child will get to be inside a bubble. Funny family fun and slightly educational, this show will have everyone rediscovering the fun to be had with bubbles. One for the adults, Papillon Unplugged is a spectacular and debaucherous buffet of circus, cabaret and comedy that turns typical circus on its head. Expect spectacular acrobatics, cheeky cabaret and risqué circus, but in a La Petite tent theatre where you can see … everything. La Petite Grand is funded through the City Centre Marketing and Improvement Levy, a fee paid by property owners in the city centre.